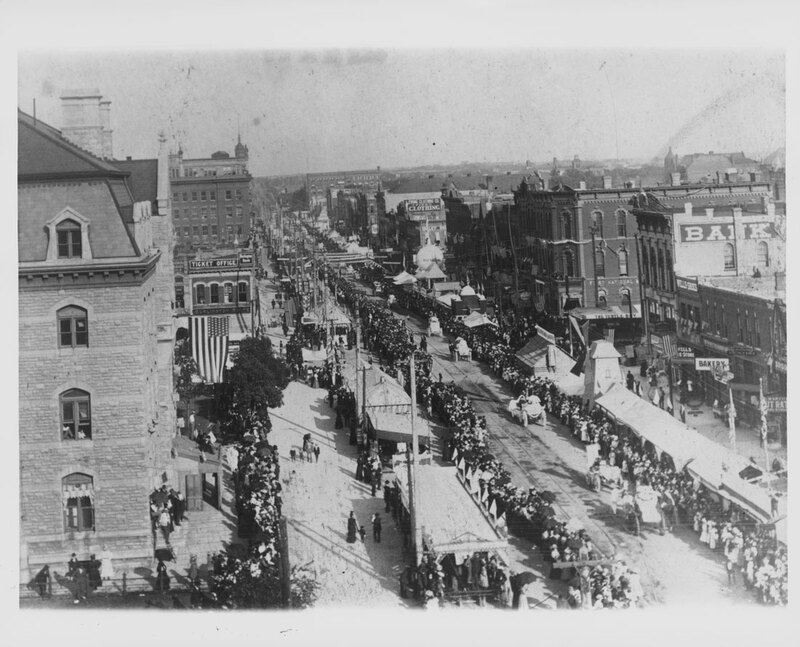 This is a photo looking east down O Street during a parade. The Burr Block is seen on the north side of O Street down the block. The old Post Office is on the right side of the photo in the forground. The B & M ticket office is directly east of the old Post Office Building on the north side of O Street.